If you find a cheap deal for a phone but you are suspicious about the product quality, you may acquire protection against unfortunate future events through purchasing an extended warranty. For approximately 10% value of the cell phone you will be protected not only against technical failures but also common situations, such us: breaks, drops, spills or sinking. 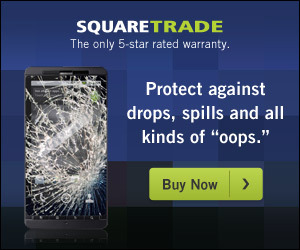 We recommend SquareTrade Warranty for your cell phone protection needs. Cover against failures for about 10% of cell phone price. In many cases when you buy used or refurbished phones, you are not eligible to have one year manufacturer warranty. Usually retailers provide a 30-day limited return policy, however, sometimes it may not no be sufficient. Consumer reports rate SquareTrade Warranty at 5 out 5 stars. We recommend to acquire the warranty, especially when you buy used or refurbished phones. If I buy a new phone, is the manufacturers original warranty valid? It depends on the model you are purchasing. You see, old models in most cases are discontinued and manufacturer no longer offer warranty. Please read the product description before purchasing a phone. It usually states there if the phone is covered by manufacturer warranty. If I buy a phone for my grand daughter and I don’t give it to her until Christmas the warranty will have been expired way before I even give it to her. I really don’t think that works out well for me. Linda, unfortunately stores usually offer 30 return policy. I would recommend to wait with purchase until Black Friday sale when you will be able to snag phone at way lower price and be covered after Christmas. would this work with a unlocked phone and using metro pcs services, I don’t their name any where in tour ads? Yes, it will work on any working phone purchased online. Caleb, thank you for contacting us. What store did you buy the phone from? My phones been messing up,and it’s been more than 30 days,what can I do? Hi Pamela, which store did you buy the phone from? The Sprint “very good condition – refurbished” was in “fair – used’ condition and had been flashed.In other words, it is useless. Maybe the seller sent you a wrong merchandise, did you contact the store? what is the return policy? and would I get my money back if something was wrong with the product or I didn’t like it? Usually stores offer 30-day return policy plus every purchase is covered by buyer protection program. What happens if I get the phone with a problem with it?? If you are not satisfied with your purchase you can return it. Each purchase is covered by store return policy and buyer protection program. Is the store return policy only 30 days? Nicole, sellers offering phones via Cheap Phones usually offer 30-day return policy and each purchase is covered by buyer protection program. 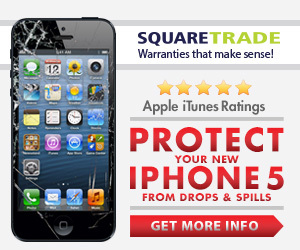 You may also purchase an extended warranty from third company Square Trade. Here you can find more info about warranties. I was able to find good advice from your site. My problem with square trade warranty for tablets is that they want to charge about 38% of what my tablet is worth. I have a kobo e-reader that costs about $52 and they want $20 to cover it. That’s insane! Based on my knowledge they charge 10% of the product value.